By rapidly de-risking novel science and enriching partner pipelines with best-in-class molecules, i2020 helps accelerate early stage drug discovery platforms towards advanced lead and clinical candidate level within a two-year time framework. i2020's vast scientific and global resource network tailored specifically to the needs of early drug development programs allows it to take on projects in a wide array of therapeutic areas, from immunology to infectious diseases and beyond. By successfully leveraging agile development principles and flexible partnering business models, i2020 plans to co-create 15 diverse drug discovery programs in 2018. 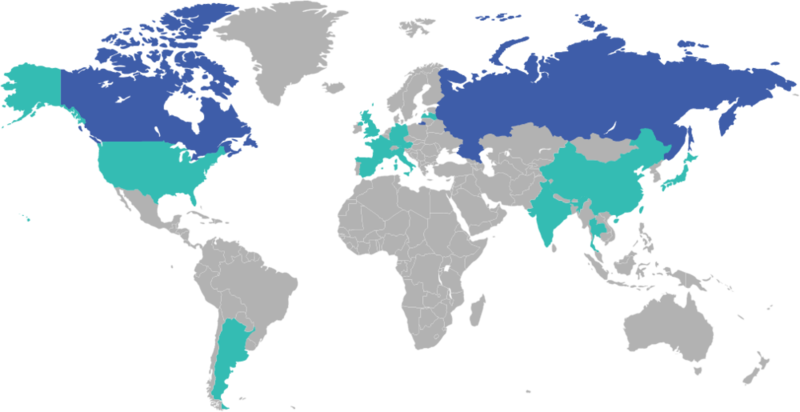 Partners & Collaborators in 15 countries around the globe. i2020 offers its members the access to a wide global resource network tailored specifically to the needs of early drug development programs: venture partners experienced in early stage investments, a management team seasoned in team of early drug development management experts, and a growing execution network of pre-qualified CROs with group rates for supplies and services. agile science programming taps into a wide spectrum of therapeutic areas. By deploying a robust network of R&D, business strategy and scientific resources, i2020 is able to co-create 15 diverse discovery programs in 2018, tapping into external innovation of VC, industrial and academic partners. The use of agile programming principles allows i2020 to take on projects in a wide array of therapeutic areas, from immunology to oncology and beyond. drug development heavy lifting done with flexible partnering business models. Entrepreneurial activities are project-based and tailored to each program, supported by the initial funding of US$30 million from the specialty life science investor, Torrey Pines Investment. Each program is eligible for up to US$2 million depending on the partnering and shared investments potential. Partnering business model could span a solution from equity investment, a non equity participation, and an option-based pre-commercial partnering. From early drug discovery to advanced lead and clinical candidate. i2020 is looking for research programs with differentiated biology and established development paradigms to contribute to and advance to the Target Product Profile. SAN DIEGO, Nov. 15, 2018 -- Torrey Pines Investment announced today that Snap Bio, Inc. has joined its early drug discovery ecosystem through its i2020 Accelerator specialty investment framework, which includes a three-way partnership with ChemDiv, Inc. Under the terms of the agreement, Snap Bio will leverage ChemDiv's unique integrated discovery platform, while Torrey Pines Investment will deploy its financial and BD&L capabilities to help Snap Bio advance their highly potent and selective kinase inhibitors for treating endodermal cancers and autoimmune diseases. SAN DIEGO, Jan. 4, 2018 /PRNewswire/ -- Torrey Pines Investment announced today the launch and initial funding of its i2020 Accelerator initiative. With Torrey Pines funding of up to US$30 million, i2020 implements agile development principles to accelerate small molecules with clearly established development paradigms and paths towards clear differentiation and competitive edge as advanced leads and clinical candidates. interested in early drug discovery? Sign up to receive news and updates on i2020 accelerator, its members and partners.